Sparks also said that Texas’ testimony surrounding estimated costs for abortion facilities were made “using simple, back-of-the-envelope math, which is unsupported by any research and relies heavily on assumptions.” The state had suggested that abortionists could pool together and utilize a mass grave for the remains of aborted babies, which it said would cost less than $2 a baby. As previously reported, in Texas, abortion facilities customarily contract with third party medical waste companies to dispose of the aborted babies, which are usually classified as “pathological waste.” The containers of aborted babies, mixed in with boxes of bodily fluids, tissues and other items that are not permitted to be thrown in the trash, are then transported to an incineration plant where they are burned into ash and then dumped into landfills. Last month, the Department of State Health Services finalized a rule at the request of Gov. Greg Abbott that requires abortionists to utilize burial or cremation services provided by funeral homes rather than hiring medical waste companies to dispose of the children with other medical trash. But days later, several abortion facilities filed suit to stop the regulation from going into effect, including Whole Woman’s Health, Brookside Women’s Medical Center, Austin Women’s Health Center, Alamo Women’s Reproductive Services and others. 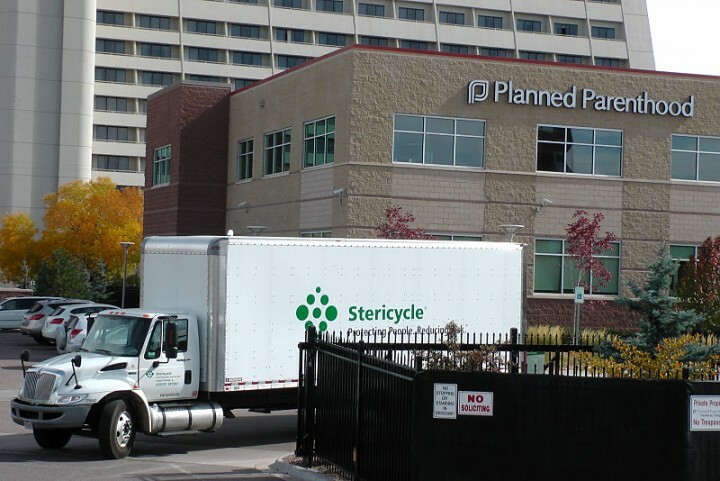 As previously reported, the medical waste company Stericycle was fined $42,000 in 2011 for dumping fetal remains from Whole Woman’s Health with household and commercial trash. The lawsuit was filed in part by the New York-based Center for Reproductive Rights. On Dec. 15, Judge Sparks issued a temporary injunction, halting the rule, and earlier this month, he heard oral argument over the issue. He became befuddled as the state argued before the court that “fetal tissue is not human remains” under the law and is simply “pathological waste” since the child hasn’t yet been born. “Fetal tissue is not human remains for the purposes of this statute,” Assistant Attorney General John Langley replied in response to a question from Sparks, who pondered whether the rule requiring burial or cremation of aborted babies conflicts with the state’s current cremation law. The law allows human ashes to be sprinkled on private property without permission—which could include landfills. Langley’s position was that the state cremation law and the aborted baby burial requirement did not conflict because “fetal tissue is not human remains” under Texas law. Abortion facilities in the state applauded the move. But Attorney General Ken Paxton vowed to appeal.